Heartland Waste is in the process of delivering totes to the residential area in Winner. Once all the totes have been delivered there will only be curbside garbage pickup. This means that there will be no more pickup of garbage in the alleys. The totes are 96 gallon and are made to be rolled to the curb. Marti Kingsley, manager of Heartland Waste in Winner, says if persons do not want a tote that is fine; however, they still must put their garbage curbside. Kingsley says there will be no change in the pickup dates. If persons need an additional tote or an apartment complex needs an additional tote, they can call Kingsley at Heartland Waste Management at (605) 842-3692. Commercial customers have had their totes for about two months and service is going well with the Winner businesses. Heartland Waste is the company that has the contract with the city of Winner to pick up both commercial and residential garbage. 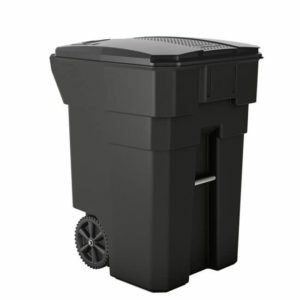 The garbage service is working in various sections of Winner to deliver the totes to residential customers. There are an estimated 1,150 residential garbage customers. Persons who have questions or a resident who did not receive a tote can call Kingsley. The business just started delivering to residential so many people do not have their totes yet.